Debut release of complex and crafty D&B from Ncql. 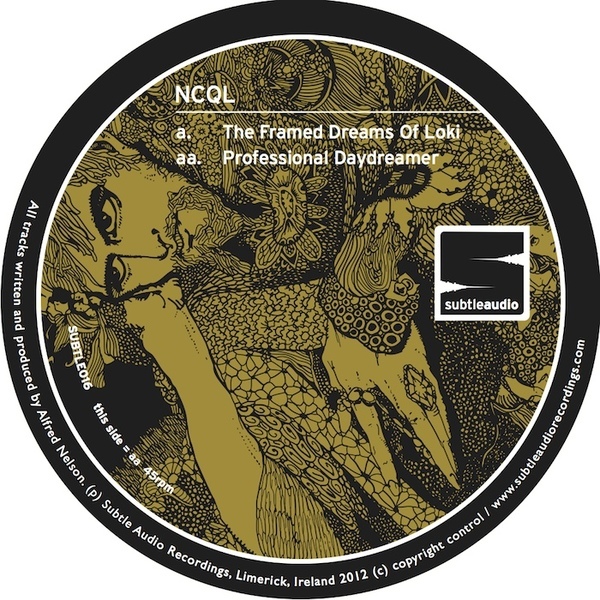 With nods to the proggy arrangements of Prefuse 73 and the string stabs and beat-breaking of DJ Premier, 'The Framed Dreams Of Loki' is a unique piece of D&B whose status was acknowledged by 1Xtra's DJ Bailey. 'Professional Daydreamer' is perhaps staighter playing, but still built with that deceptively organic sense of freedom and has been played by DJ Flight on her "Next Chapter" Rinse FM shows.